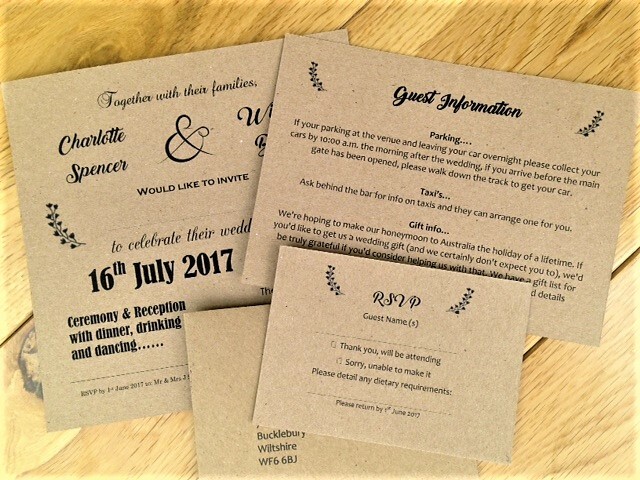 Our vintage wedding stationery is available on attractive brown flecked kraft card with a rough natural feel. Our kraft card is 280gsm in weight, is eco friendly and 100% recycled. 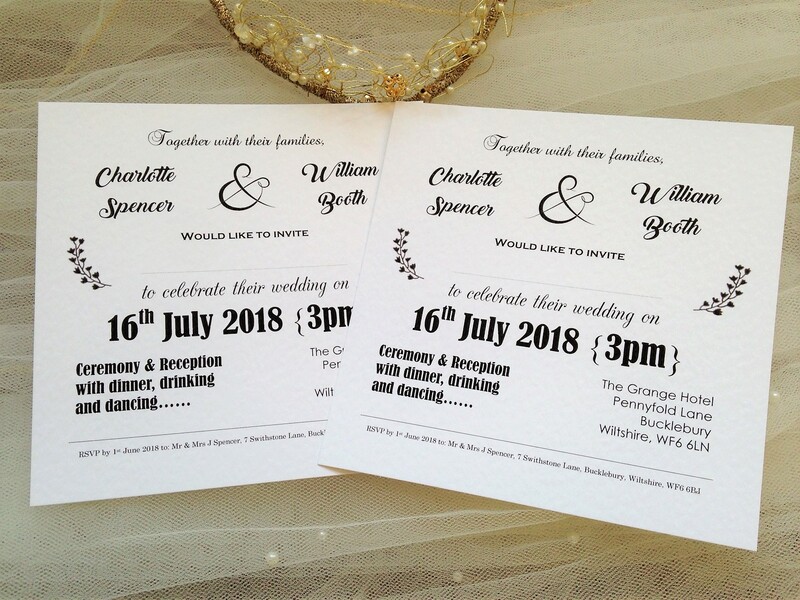 Alternatively the same range is available on either white or ivory 270gms hammered card. 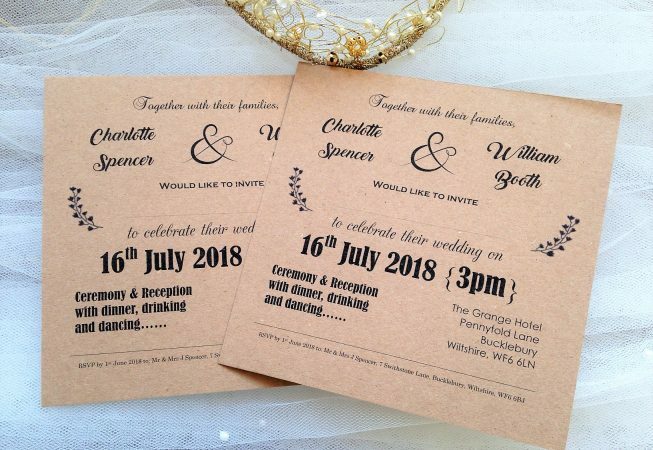 This style of wedding invitation is right on trend and the growing popularity of vintage wedding invites as they are ideal for all types of themed weddings, including woodland weddings, rustic weddings and country weddings. 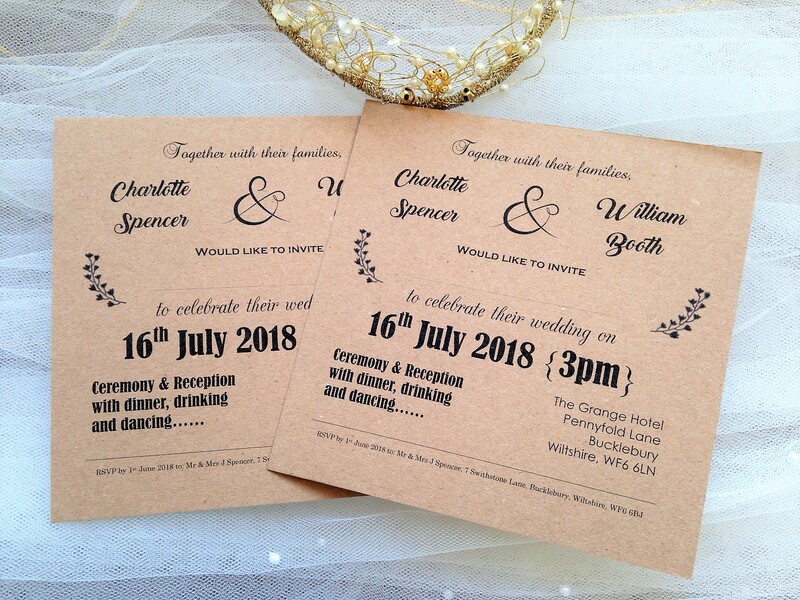 Vintage Wedding Invitations from part of our Vintage Wedding Stationery Range. 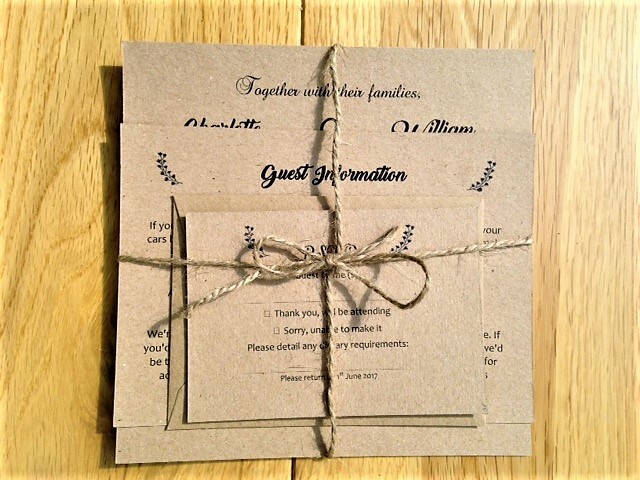 Free guest name printing and free matching envelopes.